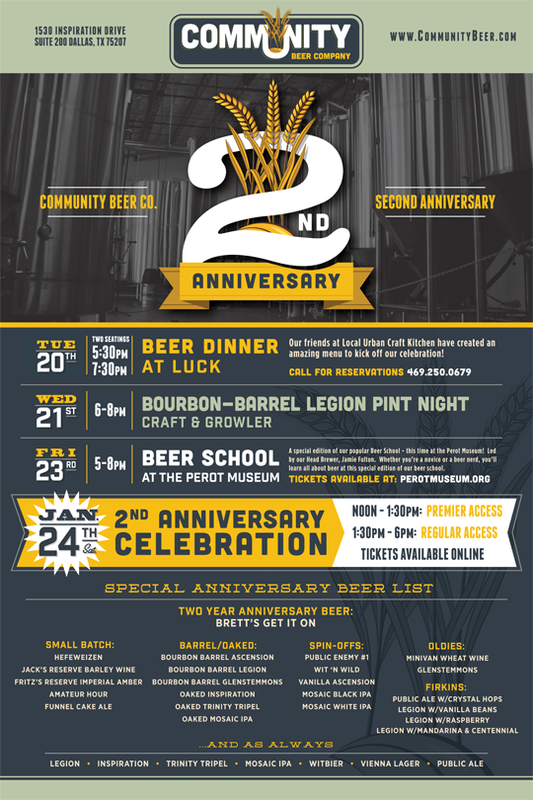 Community Brewing is Turning 2! One of Dallas' favorite and older local breweries is turning two this month and they're throwing themselves a party. The Sig-O and I went to the 1st anniversary party, so we have no doubt that this one will be even bigger and better. Word of advice - get your tickets online and early - you may be able to get in, but don't you want the cool glass and first crack and the special oaked/aged beers or small batch releases? Get your tickets already. It's the best $25 you'll spend this week.